This week’s prompt is that there is none. Or was none. I am extremely late this week and need to get the next one done for 5½ hours time. 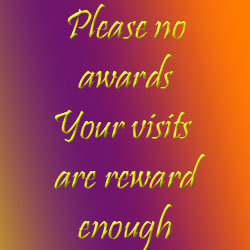 This inspiration for this came from spending the day at Camber Sands with my sister. She asked me to go down and photograph her on her horse whilst running near the sea. The weather cloudy but warm, except on the beach where the chill of the sea breeze comes in and takes over forcing us to wear gloves. The tide is on its way out so we have a coffee first. It ebbs fast here, but flows back equally quickly making it a dangerous place to be at the wrong times. Other people arrive with dogs and children. The horse-box is open and the mare is standing munching on her hay feeling a wind blowing over her. Then she is saddled up and begins to pace excitedly as she knows she can wander around. 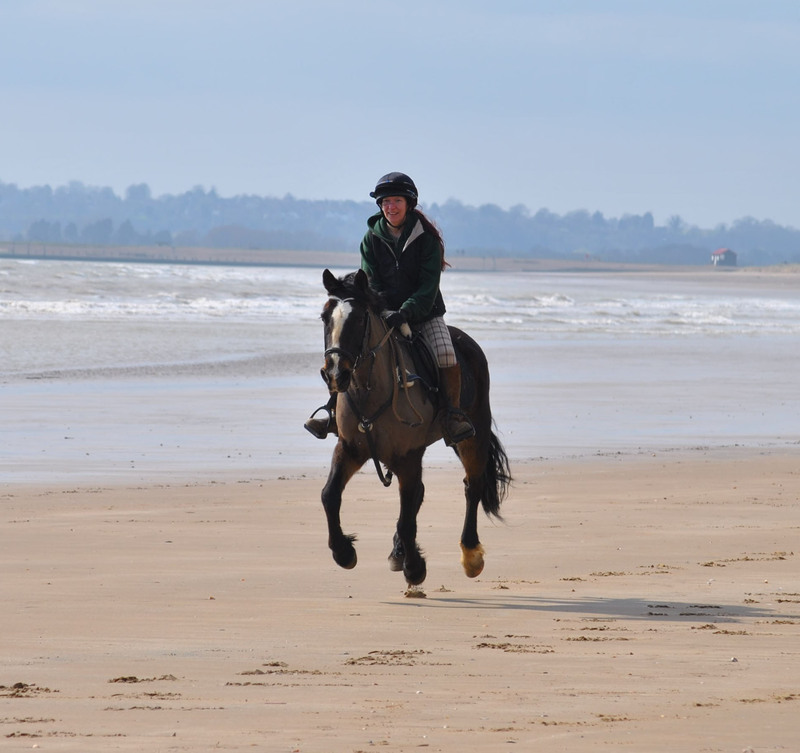 Riding onto the sands, the horse feels strange sensations underfoot and sees the waves licking at the shore. Then she is led up the sands, first in a walk, then in a trot, a canter and then a gallop; racing back with all four feet airborne, loving being able to stretch her legs, happiness showing all over her. 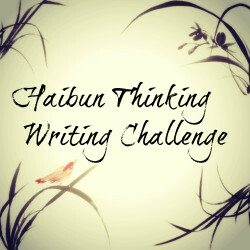 This entry was posted in Haibun Challenge and tagged Beach, Challenges, Coast, Creatures, Days Out, Family, Haibun Thinking, Horses, Life, March, Postaday, Sister. Bookmark the permalink. Unfortunately I can’t ride so I won’t be on horseback. I am just there to take some photos. Thank you 🙂 I appreciate your confidence. I am hoping to get some of her going over jumps. Awesome photo. What a great action shot. Thank you Sandra. I am proud of this one. I was worried because it is the first time I had been asked to take photos of someone so the nerves were there. Don’t be nervous, you are a great photographer, and the shutter speeds can be magnificent on modern cameras with the burst mode proving popular for such occasions. What joy to be able to ride like that.. sounds like the ultimate form of freedom.. I can taste the salty air in your words-. It is. My sister hadn’t done it for 28 years so she absolutely loved it. HAHA Sounds similar to me. I rode a horse in 1988 when I got a job in a stables. Working there I got over my fear of horses. Then out on a ride it threw me off and I went back 30 steps. My sister did have a nutter of a horse that was the most intelligent animal I have ever encountered. It hated people, but if a novice got on him, he was fine. If you were scared of horses, like me, he was perfect. If you were experienced though, he would try to kill you. And I don’t mean that lightly. He crushed my sister once. I’ve not ridden a horse in 20 years and unfortunately, I will never be able to get back on one. As I was taking photos of my sister, I thought how much fun it would be to ride on the beach. I like the pacy way you have written this. It fits with the excitement that horses galloping across the sand. Lovely Al and what a great experience. You have captured it all so very well. Excellent work my friend.